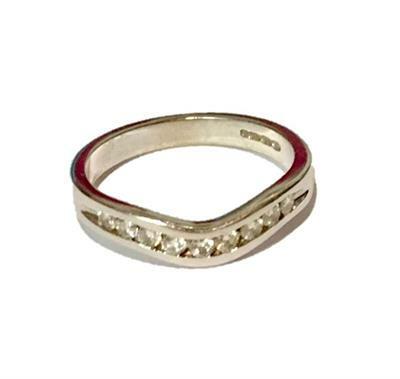 This is a beautiful shaped engagement or dress ring for that special someone! Set into the 18ct White Gold band are nine sparkling Diamonds. What a fabulous way to tell someone you love them! LAST ONE LEFT IS A UK SIZE K 1/2!